Azure Holidays are very proud to offer this luxurious 10 bedroom lakeside villa. Located on the water sport lake in Quinta do Lago this villa offers exceptional quality and fantastic amenities. Sleeping up to 20 guests this is an ideal villa for large group bookings. Ask Azure "What we love about this property is the total feeling of luxury that you get when you walk in the door. The views are stunning and with amenities befitting a 5 star hotel - this is a property we would like to live in!" This villa is in such a stunning location there is something to see where ever you look. The busy water sport lake behind the villa is a hive of activity and with the villa positioned to make the most of these amazing views even just sunbathing in the garden is exciting. With your own private access to the lake and boat deck, hiring some kayaks, jet skis or small boats whilst you are here is definitely an option worth exploring if you are looking for a more adventurous holiday. The private beach area is the icing on the cake of this property. The outside area is as luxurious as you would imagine. Plenty of space and garden furniture lends itself well to making the most of the Portuguese sunshine. There is play equipment ideal for the smaller guests, and the pool has a shallow ending leading through to the deeper section. To the side of the property there is a floodlit tennis court so if you don't have time to fit in 3 sets during the heat of the day, then wait until the sun goes down and start your own tournament. 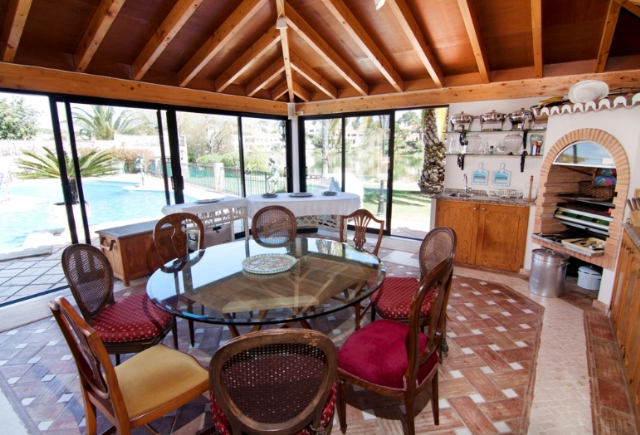 For alfresco dining there is the BBQ area, with a covered dining area overlooking the pool. When it comes to luxurious interiors this villa has it covered. 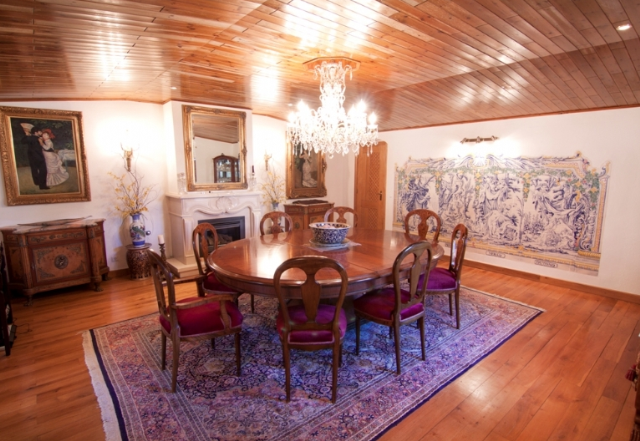 From a formal dining area with an impressive curved wooden ceiling, to relaxed living spaces with a piano overlooking the pool, this villa is in a class of its own when it comes to luxury. 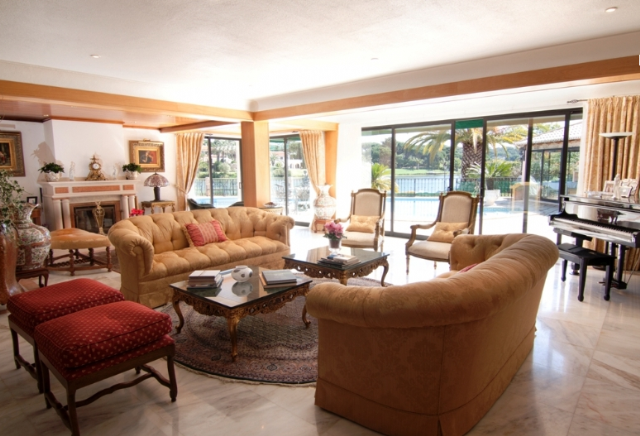 As you enter the villa you arrive in the light and graceful lounge area which adjoins the library and study. A feeling of warmth and luxury gives you a cheerful welcome. The interior of this villa just goes on and on, with rooms for every occasion. It comfortably accommodates up to 20 guests and you won't feel as if you are squashed. There is a cinema room, for all those late night movie evenings. There is a party room and games room for relaxation and fun. 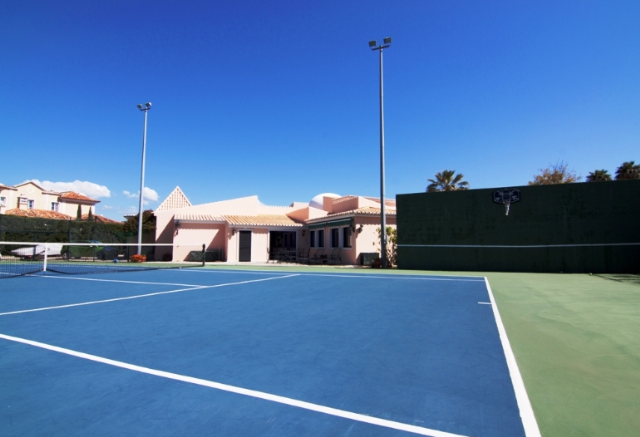 There is a well equipped gym for when the water sports, private pool and tennis courts just aren't enough exercise. The kitchen has a bright open feel to it and has its own breakfast area, and the laundry room is off of the kitchen. 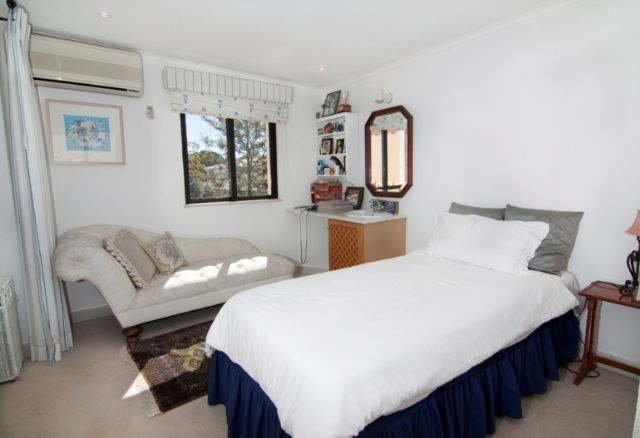 The bedrooms are clean and crisp with elegant furnishings to contrast to the cool of the white walls. Each room is a little different, some with chaise longs and desks, others with ornate pictures and light fittings. 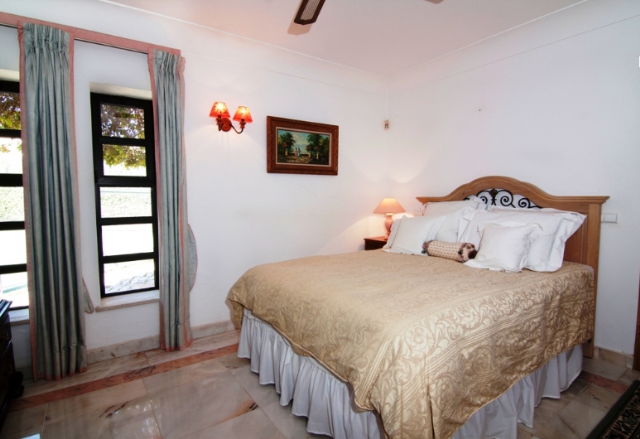 The configuration of the rooms lends itself to a variety of guests. 9 of the bedrooms are set for doubles and one room with singles; there are also sofa beds and more than enough bathroom space for all concerned. 7 of the rooms are en suite with a further three bathrooms and WC's. 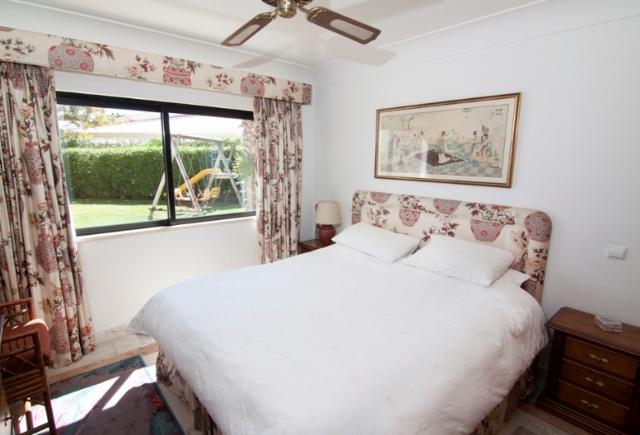 Some of the bedroom suites are self contained annexes. There are terraces and balconies from some of the bedrooms and a roof terrace for all to enjoy. Quinta do Lago is one of the most exclusive resort areas in the Algarve offering highlights for the most discerning guests. With plenty of nearby golf to enjoy this villa is ideally located to make the most of these world class sporting facilities. There are also the restaurants and nightlife to enjoy as well as shopping and the several miles of golden sandy beaches. Our team of experts are waiting to take your call, don't miss out on this incredible villa for your holiday and book today. You can read more about the area of Quinta do Lago in our guide here.